#14 – I enjoyed the presence of mentors. Tena Wilson. Annie Joe Edwards. These ladies are legends and I can’t talk about them without beaming with adoration. Honestly, I’m a fan of their artistry and their queendom. Whenever I can watch them perform, I treat myself and marvel at their creative excellence. Then, when it’s all over, I get to hug these two powerhouses and they shower me with wisdom, humor, and love. Queen Tena (as I call her) is on the far left of the photo. Actor, music educator, and vocalist extraordinaire – opera, jazz, spirituals, you name it – she can sing you into euphoria. My SoRHOr Annie Jo is in the middle and she still hand-scores her music. *insert emoji face with heart eyes here* Music educator, actor, songwriter, playwright, pianist, and comedienne. Between them, they have decades of entertainment experience and touring under their belt and they’re also great friends. Sit under wisdom and stay there. “Yes, ma’am” freely leaps from my lips and pride is nowhere in the room. I listen. I learn. I obey. I accept. I pay attention and I leave richer than I came. When you see wisdom walking, stop and soak, especially when someone wants to share her with you. Proverbs 1:20-29 says that wisdom cries in the streets with the hopes of gaining your attention. Too often, we’re just too stupid to listen to Her. Consequently, we succumb to negative effects and wonder why they happened to us. Wisdom is not far away and you may be surprised at how freely She flows when you ask for Her. I have a confession to make. I dance around the house for no reason other than it makes me happy, and sometimes, I do it in heels. My dog looks at me funny from time to time, but I think he’s gotten use to my random bursts of movement. I step, I salsa, I groove, and I do the running man when it hits me. I’m a dancer, through and through. No, I wasn’t classically trained in ballet. No, I didn’t participate in summer dance intensives. I hear music in my head and I move to it. Growing up, I listened to jazz, gospel, rock, heavy metal, blues, R&B, hip-hop, country… you name it. Thanks to my family, I was exposed to some good stuff and that goodness would seep beneath my pores and I would be compelled to let it out. Any Man of Mine by Shania Twain would get a mix of hair swinging and stepping. Don’t Worry, Be Happy by Bobby McFerrin would get head bobs and horrible attempts at whistling. Going through my uncle’s cassette drawer was like eating at a musical candy factory. I was in heaven every time I could sneak a listen. Now the cassette and headphones have been replaced with streaming queues and bluetooth speakers, but I dance just as hard. Music will always be in my DNA no matter how old I get. It makes me feel alive and healthy, running fine on all cylinders – even if but for 3:32. Diving into my audible ocean means everything to me and I always resurface better than before. I think the freedom makes me a better choreographer. What do you do that gives you unadulterated happiness? Is it bike riding? Rollerskating? Painting? Cooking? Whatever it is, I pray that you get to do it before the year ends and whenever the mood strikes. Get some happy in your life! Peace & Thanks for listening, Sweethearts! The funny thing about tasting something that is bittersweet is you never get the bitter and the sweet at the same time. According to the word, you would think the bitter comes first, but it doesn’t. On November 13th, I anticipated the bitter. The sweet was there, sprinkled throughout the day, but the closer time moved toward 7:00 PM, bitter’s presence drew near. 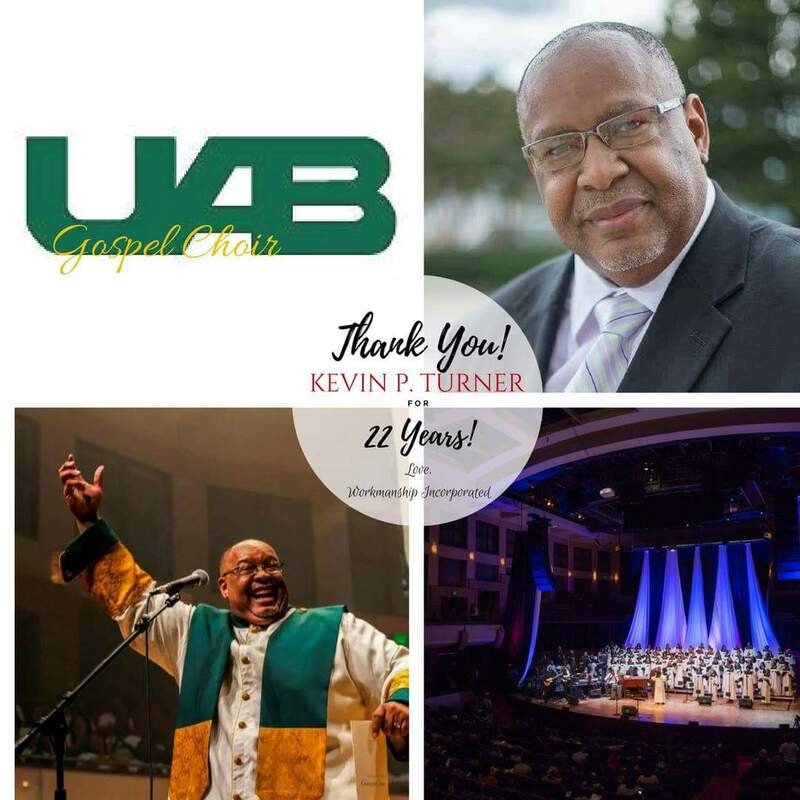 It was a performance filled with firsts and lasts – first time my performing arts troupe was featured at the Alys Stephens Performing Arts Center by way of the University of Alabama at Birmingham (UAB) Gospel Choir, first time one of my teammates would sing with the choir, last time I would perform under Director Kevin Turner with the choir, and the last time Monday night would be sacred in this capacity. Being connected to a living thing for 16 years will make you expect the bitter when it ends. The sweet came in capsules of backstage silliness, team shenanigans, chats with college friends-turned-colleagues, and hugs all around. It was a family reunion, to say the least. Sound check exposed the bones of the operation as we all prepared our respective crafts to be displayed on stage in a few hours. Musicians, dancers, singers, production, lights, ushers… it was all at the ready to provide a great concert for attendants and participants alike. 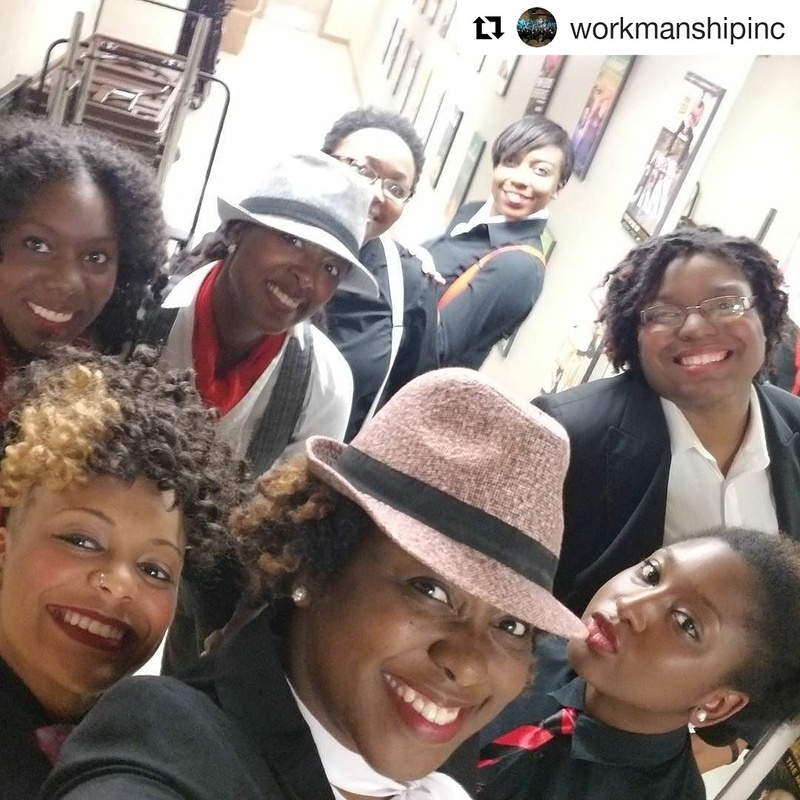 The audience enjoyed the set list, artists performances from their hearts, scholarships were awarded, and commemorative speeches were made. The ASC had been a 2nd home to many UABGC members over the years and the bellows of the building were our training grounds. Now, they were cozy places of professional preparation. Everyone was in their elements, drinking the nectar of memories that would be still swirling around in our cups the next day. Me? I was waiting for the bitter. It may sound pessimistic, but I was trying to brace myself. I didn’t want to be caught off guard and wail 8 counts before my first step. So, I waited for it… the bitter aftertaste of a such sweet experience. Surprisingly, it came right before the first dance, wisped around my shoulder after the last dance, and walked me to my car after we left the dressing rooms. I didn’t cry. I welcomed it in the car and drove home. It was OK to have the company. I actually smiled at it along the open road because it was even better to have the sweet first. I was one blessed woman. Have you ever heard that song? It’s one of my favorites. I know the feminist undertone makes it an anthem, but my truth is that there are some things that I can not do better than someone else. On the other hand, there are things that I truly can do better… but it doesn’t mean I should. Here’s a short stop for you before the workweek hits you like a ton of bricks. Analyze what you can do and whether you do it well. See if there is anything holding you back from doing it better. Seek ways to enhance yourself. Regroup by reading. Sign up for a free class or lecture. Shadow someone you deem an expert and even someone you deem less than perfect. You may think you can do a lot of things better than someone else, but the passenger-seat-syndrome will do that to you. Instead of competing against someone, compete with yourself. You won’t get it all at once, but you will get it. If I can teach a 65-year-old miner how to use email and he used that skill to change careers, you can get better at something too. Be patient and apply everything within you to beat your last score. You can do it, Champ. I believe in you. I believe in us. Let’s do this.